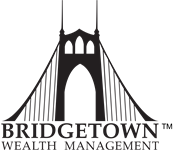 Please use this link to access your Wealth Management Website. This site allows you to view your whole financial picture in one place. Please reach out to our team directly with any issues logging in, or for first time setup. Access your Ivy Investments account(s). If your account number starts with a number click here. Access your Waddell & Reed Brokerage Account. If your account number starts with an alpha character click here.